A medieval weapon rumored to have been used by the brilliant poet himself. When in Florence, you don’t have to look hard to find tributes to Dante Alighieri, Italy’s most famous medieval poet. A small museum, built inside the house believed to have once belonged to the poet, goes beyond merely touching upon his famous work and tells the story of the political circumstances that shaped both Dante and his beloved city. Dante famously fought in the Battle of Campaldino, during which the Guelphs of Florence squared off against the Ghibellines of Arezzo. It was a historic battle, which saw Tuscany fall under the hands of the Pope-supporting Guelphs. 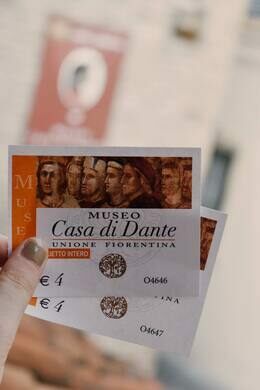 Dante’s House Museum (Museo Casa di Dante) in Florence, his home city, tells the story of this pivotal battle. Life-sized replicas of various Italian soldiers, including a traditional soldier, a shield-bearer, and a crossbowman, stand within the room. 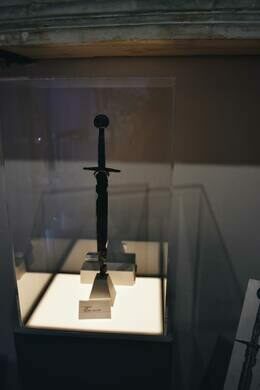 Weapons from the 13th to 15th centuries fill a glass showcase. One rusted dagger is of particular interest. 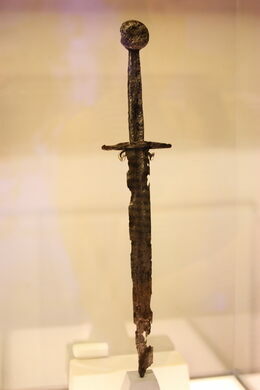 According to the museum, it was used by a soldier during the Battle of Campaldino—perhaps, even, by Dante himself (hence it being labeled “Dante’s Dagger”). 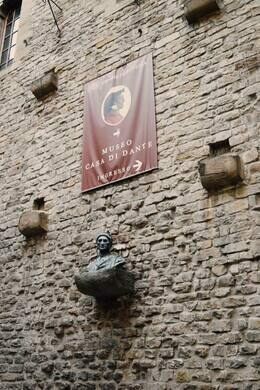 In addition to rehashing the events of the battle, the museum tells other stories of Dante’s birthplace. It tells the tale of Florence as the poet lived it, with exhibits dedicated to the politics, powerful people, and economy that shaped its history. 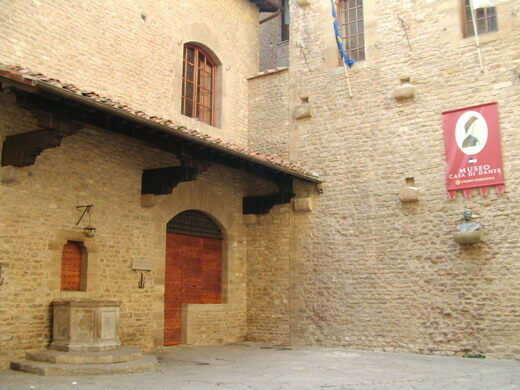 The museum is located a few blocks from the Duomo, near Palazzo Vecchio. Some say this medieval church is where the poet Dante married his wife and also met the love of his life.